In honor of Father’s Day, lets celebrate our favorite middle grade dads, whether they be biological, adoptive, or living only in our memories. Many of us have a special bond with or memory of our dads, which has forever shaped us. My own Dad takes a lot of pride in doing things himself, and as I’ve grown older I find myself appreciating those same traits. 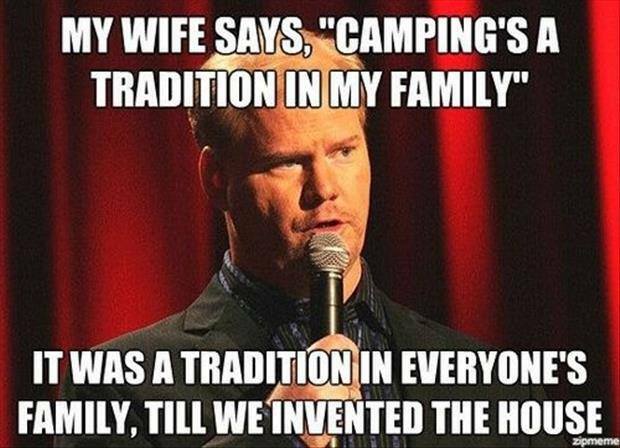 He is also really great at backing a motorhome into any size campsite. These middle grade novels all feature special relationships with fathers, be they god, mortal or somewhere in between. No matter who they are, or what they do, let’s just all agree that we’re pretty lucky to have these guys in our lives. 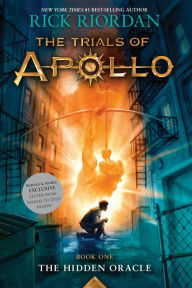 Zeus is the father of Apollo, who just happens to now be trapped in the body of a regular New York City kid. That, on its own, is amazing and inspiring and everything that a dad/son story should be. Parents aren’t always easy people to get along with, I admit it, but when your dad happens to be the head honcho of all Greek gods, the stakes are that much higher. In another wonderful series from Rick Riordan (you’ve heard of Percy Jackson, perhaps? Magnus Chase, maybe?) kids pull out all the stops to save the world, prove their worth, and earns some serious brownie points for their otherworldly parents. Zeus is no one to mess with, and he knows it! Plus, he gives Dad Bods a good name. 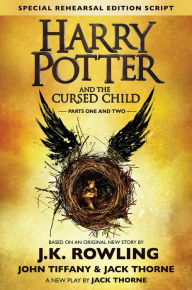 This whole series is jam packed with awesome dads, and The Cursed Child is set to be another great addition. Fans get reintroduced to Harry and Ron, this time as fathers to young Albus and Rose, who are embarking on their first year at Hogwarts. With their own awesome examples of fatherhood (Arthur Weasley and James Potter), as well the slightly reckless influences of Sirius Black and Remus Lupin over their childhoods, it will be fun for fans to see what kind of fathers these two have become. The even more pressing question may be: what kind of father is Draco, and does Scorpius follow in the Malfoy family footsteps. In this classic story, Pinocchio lets his mischievous ways lead him astray from his loving adopted father, Geppetto (with more rule breaking and adventures than the movie, and also more heart and more love between Pinocchio and Geppetto). Readers also get a chance to think on what makes a family: is it birth, or is it unreserved love, or some combination? 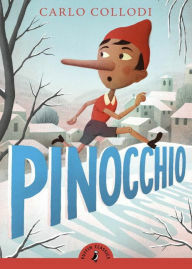 Pinocchio eventually learns to behave, attains some much needed-bravery, and finds that the one person who has always been true to him is his very own father. Pa, father to Laura Ingalls, is the perfect example of a pioneer days dad. He works his tail off all day in the the fields, or goes hunting, or sugaring, but he still has the time to teach his kids the life skills they need to survive on the frontier. Laura lovingly remembers all the nights he played the fiddle, the careful way he did his farm work, and the bravery he showed even when things got tough. Whether they are out riding horses, taking their first train ride, or raising the walls of a new home, Pa is absolutely a guy who should be celebrated on Father’s Day—but he definitely doesn’t need a tie, or a mug with golf jokes on it. In this soon to be released book (and video game!) twelve-year-old Merryn lives with her father, who is a deep sea fisherman. After a terrible storm, Merryn worries that he is lost at sea. Thanks to the courage and imagination that her father fostered in her, she builds her own submarine to find him. 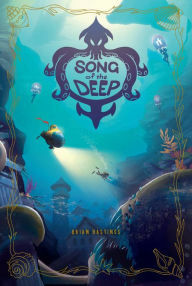 While traveling the ocean, she learns that her father’s many deep-sea legends just might be true, and also that she is stronger, braver, and smarter than she ever believed. Sometimes a father’s love, support, and encouragement can send us out on the most amazing journeys. 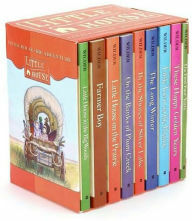 The American Girl books always have great, multidimensional relationships between their parents and their kids. Whether it is Molly’s dad being deployed during the war, Kit’s dad trying to work through the Depression, or Addy worrying about her dad as he escapes slavery, there is no shortage of important fathers. 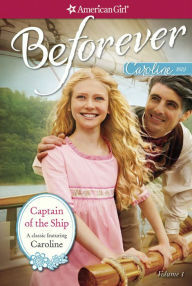 One of the most standout dads has to be Caroline’s father, the proud ship builder who is taken hostage in 1812. Caroline is so inspired by her father’s love of sailing and his ship building business that she can’t help by stray back to Lake Ontario at every opportunity. She braves the lake, and the British, in an attempt to rescue him, all because of their strong, reciprocal love. What stories do you love to share with your dads?